Select the number of bedrooms and bathrooms, see your price, and schedule maid in 60 seconds! 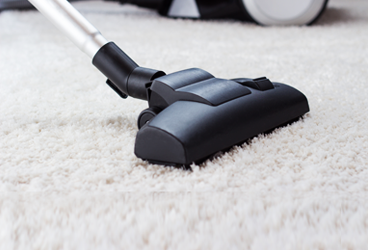 Finding trusted house cleaners for you. carefully vetted by us so we choose the right person to care for your maid and house cleaning services. The cleaners are friendly, professional, and reliable. My home in Coral Springs was left spotless and smelling great! The attention to detail by the maids is amazing. Extremely happy! I booked yesterday for a last minute cleaning today, Mother's Day, and not only was I so thrilled to find that you had availability, the two cleaners who came to my house were rock stars! Easy booking online, on time, professional, thorough and affordable for a move-out cleaning. What more could you want? Excellent job guys! I felt very comfortable arranging for bi-weekly cleanings on my new home in Coral Springs. For the past year I have depended on ClarityFresh to clean my house for me, reliably, thoroughly, cheerfully, giving me a sense of confidence and security. I especially like the fact that I know my house cleaner and that great service is provided for a totally sensible price. We're mobile friendly. 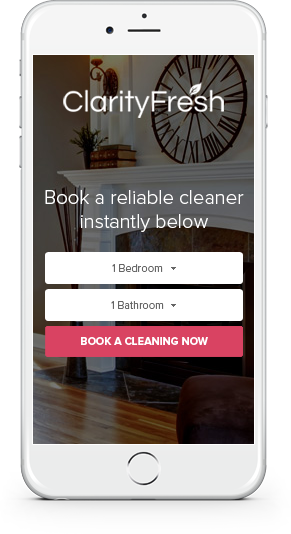 Book house cleaning just as easily from your mobile phone as you can on your computer. ClarityFresh helps you live smarter, giving you time to focus on what’s most important. We rigorously vet all of our House Cleaners, who undergo identity checks as well as in-person interviews. Select your ZIP code, number of bedrooms and bathrooms, date and relax while we take care of your house cleaning services. Copyright 2015 All Rights Reserved. Copyright ClarityFresh.